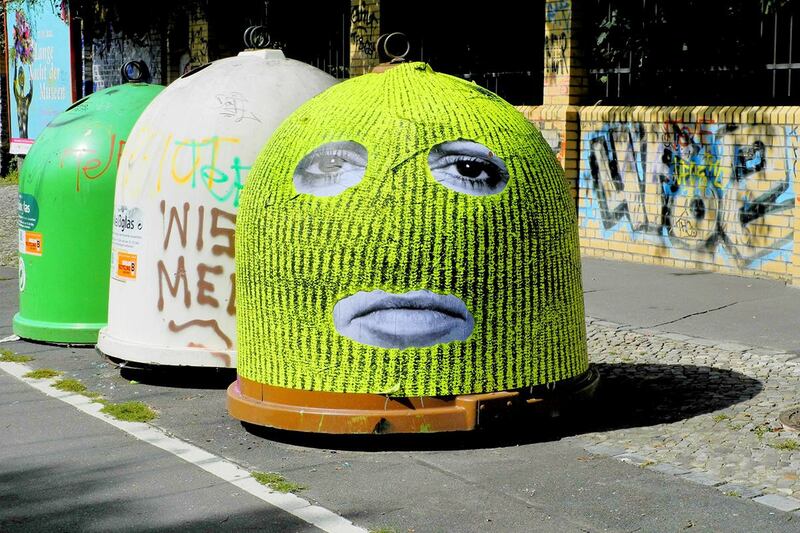 Would you agree that the entire city of Berlin is one big piece of public art itself? 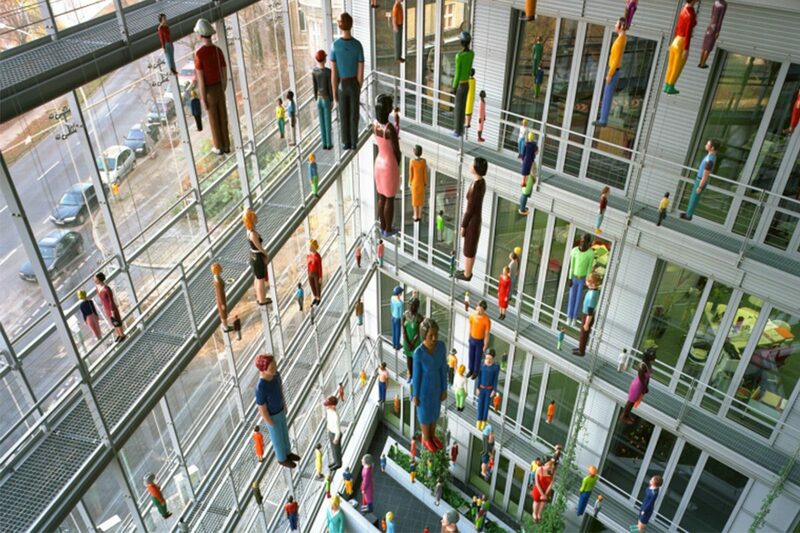 Ever since the 1990s, Berlin has been synonymous with freedom and creativity, and has welcomed art in all of its forms. The image was shaped during the “wild years” period from 1990 until 1996, after the Wall came down, and the city became a special kind of home to anyone who knew how to appreciate this wonderful new playground. This period has defined what public art could be, and how much or how little it takes for people to spontaneously turn a dunghill into a showroom. The Berlin Wonderland period may be over, but the city is still one of a kind. In the most direct way, its streets serve as a giant open-air gallery that exhibits graffiti, murals and paste-ups everywhere. But on the other hand, it seems that, eventually, all the Berliners and the ones who feel that way became participants in one momentous performance, which we could call The Life of the City of Berlin. Since the city was practically built from ground up several times, its final form is a combination of contemporary architecture, greenery, arts and free spirit (which is probably the most important component). But why is public art important, anyway? From a more general point of view, art made in public is one step ahead of art in galleries in a way, simply because it is accessible by everyone. The idea to place a work of art in a shared space is not only instructive and thoughtful, with regards to the potential audience, it is also a way to explore the boundaries of creation and to experiment with art itself. Therefore, an installation, a sculpture or a mural, or any kind of art made in public for that matter, is certainly going to engage the onlooker and to affect the collective consciousness, leading towards a better understanding of contemporaneity. But on the other hand, it is going to help the artist and art, as a discipline, progress and change for the better, enhanced by the acknowledgement of public opinion. That said, it was precisely the site-specific and politically engaged public art that helped Berlin put an end to the ugly past and to embrace its bright future. Since public art is usually site-specific, it somehow always addresses the character of a place, in a certain moment of time. We have briefly touched upon the recent history of Berlin, and it should already be clear that this metropolis does not really apply itself to any permanent sculptures and installations. Monuments cast in steel and carved in stone are not such a popular method of creation these days, and especially in Berlin, where everything is about moving forward. Hence, most of the public art in Berlin has an ephemeral character, unless it belongs to museums and attests to the historical facts. Of course, as every rule has an exception (and this is a supposition based on a research rather than a rule in any case), you will find several monumental sculptures publicly displayed in Berlin as well. The most famous one is the Molecule Man, a sculpture made out of alluminum, by the American artist Jonathan Borofsky. It appears to be floating on the surface of the Spree River, and it can be seen from various places in Berlin so lots of tourist notice it. Another notable sculpture is named after the city itself, and it represents a broken chain, which symbolizes broken connections between the West and the East. Berlin was created in 1985, and although the Wall has been destroyed, it is now one of the few monuments that speaks about Berlin’s tragic history (beside, of course, the wall itself). 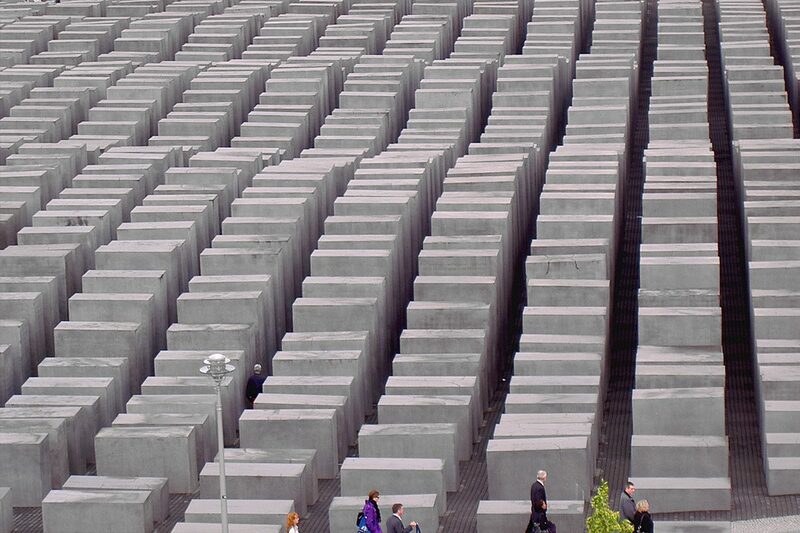 The third famous “permanent” artwork installed in public is Peter Eisenman’s Jewish Holocaust Memorial, which consists of 2711 concrete slabs arranged into rows and columns. The immersive installation faced controversy in regard with the delicacy of the subject, but it is still one of the most popular places to visit in Berlin, although we have to warn you that the experience could be quite frightening (which was probably the idea behind the project). We mentioned the Berlin Wall a few sentences ago, and its remnants could be seen as one large piece of public art itself. It was turned into an open gallery, and it could be easily said that it looks like a giant canvas with thousands of graffiti and murals on display. Some of them became remarkably iconic, such as My God Help Me To Survive This Deadly Love by the Russian painter Dmitri Vrubel, which depicts the fraternal kiss between communist leaders Leonid Brezhnev and Erich Honecker in 1979. It became so popular that it was removed by the German authorities in order to be repainted by Vrubel in 2009. But if you’re searching for a more typical type of installation, you should try surveying the art of Inges Idee, who are not only based in Berlin, but some of their artworks were realized here – such as the 11 meters tall sculpture of distorted proportions, representing a girl, located in the entrance hall of the Otto Hahn Oberschule (which I’m sure you’ve seen somewhere online). One of their most amusing Berlin-based projects must be Dein Problem (Your Problem), a car, inappropriately parked at Alexanderplatz, ignorantly playing loud music. The reactions of the public have been documented in a video. 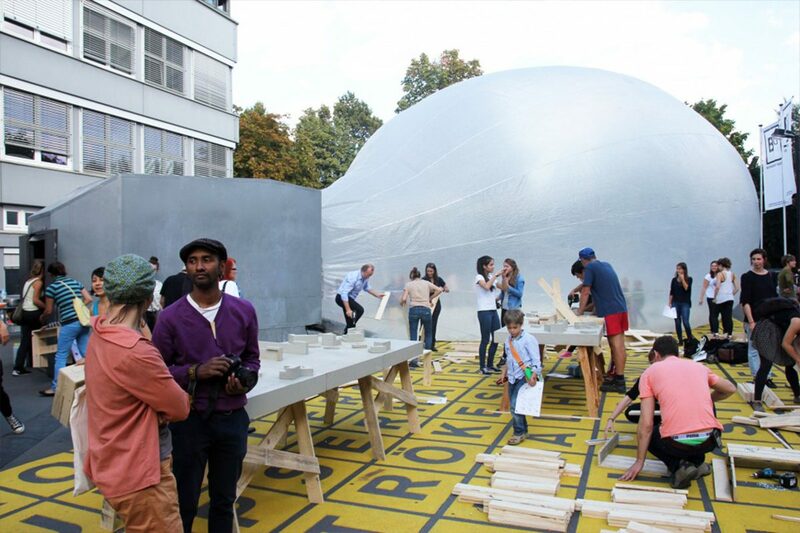 In a similarly witty manner, but certainly more “architectural” and purposeful, Raumlabor explores the use of public space, and these experiments are often executed in Berlin. Such is their Kitchen Monument – an ephemeral, inflatable kitchen, which honors the part of the house that we all love most and underlines its potential as a place for meeting and gathering. And finally, the most comprehensive category which could probably involve millions of examples – but we’re going to go with just a few. Basically any kind of street art painting or installation could find its place among these artworks and we’re going to mention some of the most popular ones, such as a few of Blu’s large-scale pieces (the Oberbaumbrücke Pink Man and the popular mural in Kreuzberg, for example). We wrote an article dedicated to this subject only, so we suggest you give it a read. Then, there’s the popular artistic trio that shaped the face of Berlin’s public spaces in an engaging, clever manner – the legendary Mentalgassi, whose installations and paste-ups would probably make you question reality while having a good laugh as well. 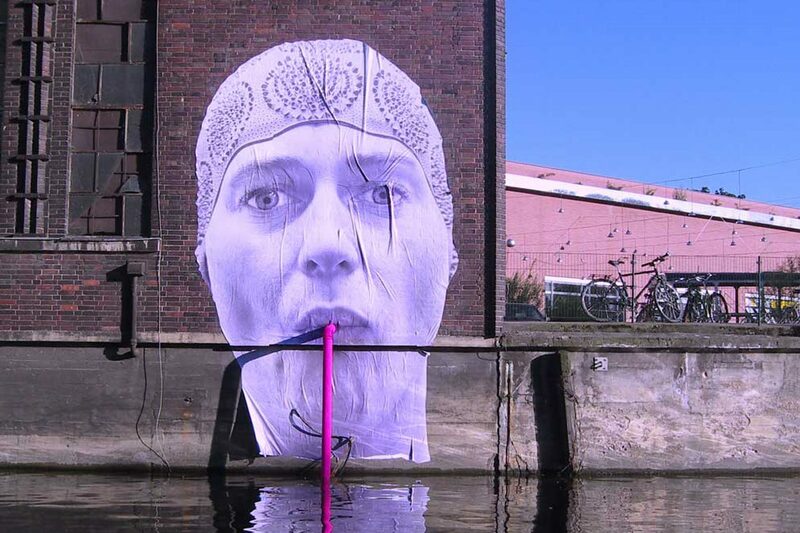 Internet is a great place and even if you’ve never been to Berlin, you must have come across the paste-up of a girl with a “straw” in her mouth, appearing to be drinking the water from the river – well that’s Mentalgassi in Berlin. But that is just one of their phenomenal artworks – they used to “dress-up” trash bins, ticket validation machines and floating balls on the river, convert photo-booths into lavatories, install carpets in trains and turn public spaces into intimate environments. 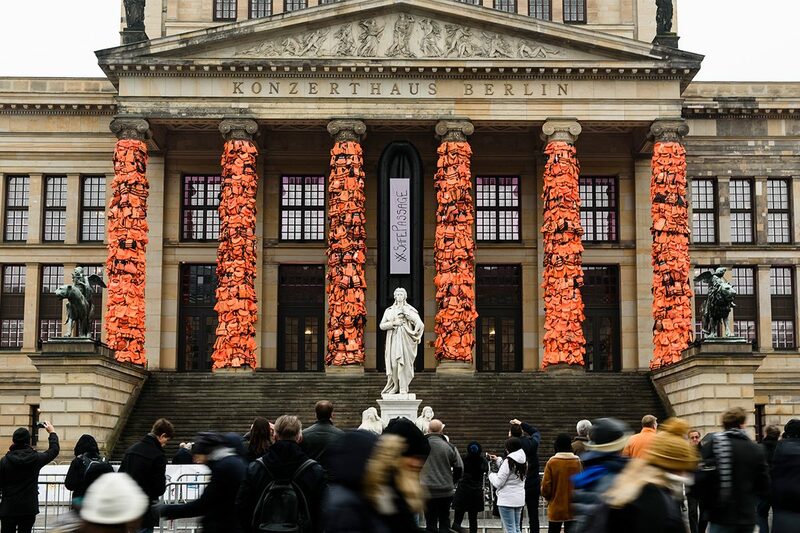 The European migrant crisis has made the world respond in numerous ways, and you probably remember the way Ai Weiwei reacted, when he covered the columns of Berlin’s Konzerthaus with 14,000 life vests from refugees who came to Greece, across the Mediterranean Sea. Ai’s message was supposed to draw the attention to the problem, and the fact that it was installed in a visible place in public made the effort far more outreaching. 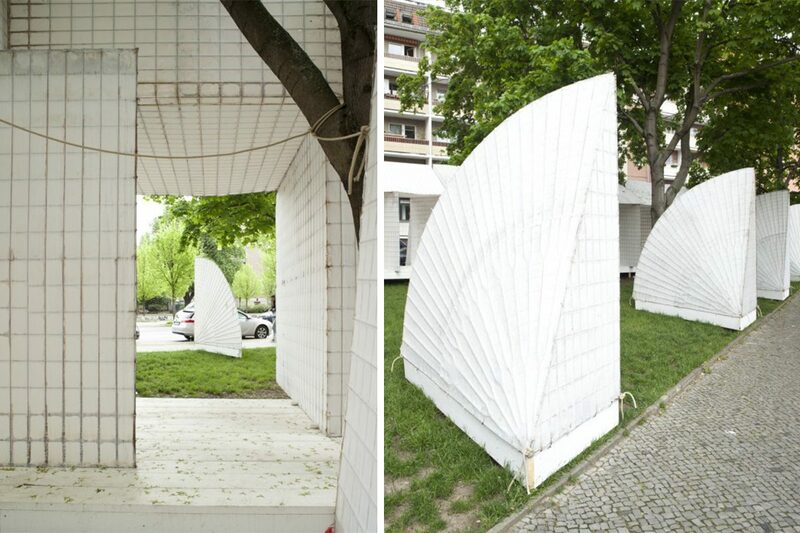 On a similar topic, Rosa-Luxembourg-Platz is a place that hosts public commissions occasionally, and one of them was Kunstverein’s Wechselstuben, an installation called an archi-sculpture, which actually involves units that could serve as temporary shelters to support those in need. Instead of a conclusion: it could be interesting to remind ourselves that art need not take actual physical forms, so why would public art be any different? By this, I’m not only trying to refer to happenings or performances (some of which you’ll be able to witness in Mauer Park), but also to the fact that the behavior of Berliners could be perceived as a form of art as well, especially if we think about those strange years, that marked the follow-up of the Berlin Wall demolition.